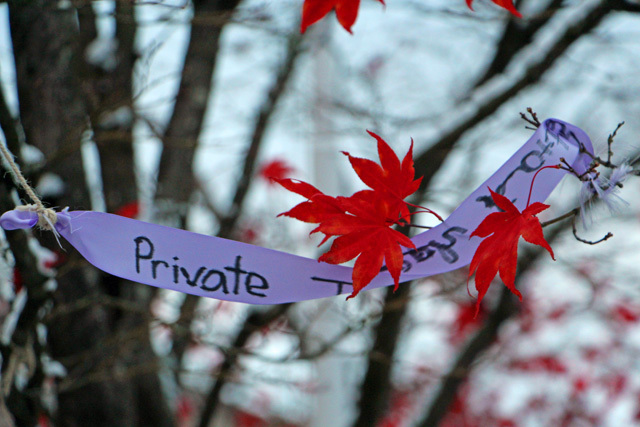 Ribbons tied to the nearly leafless maple trees and fluttering at the front entrance of New Westminster Secondary School raise the question: who are they for? And who put them there? The names written on dozens of multi-coloured ribbons – Private John Elliott, Private Vincent Misinishkotewe, Captain Thomas Chères and Corporal William Forbes Guild – are those of soldiers who died in the First World War. 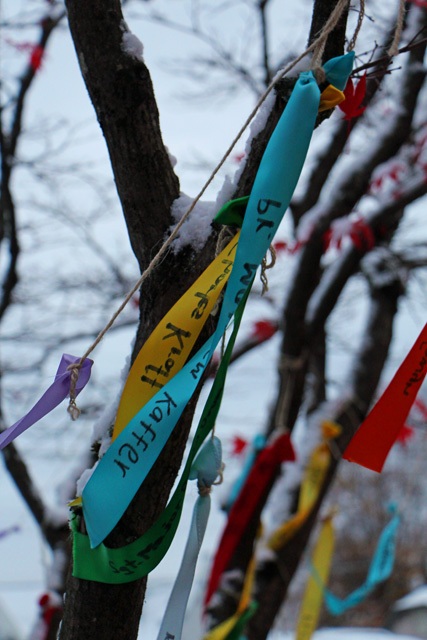 Three weeks ago, the students in Mike Parker’s Grade 10 Social Studies class festooned the branches after researching each of the names that now stir in the winter breeze. 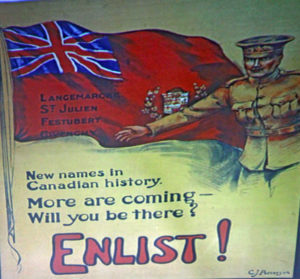 Parker’s students have been asking if Canada’s role in the First World War was worth it. And in coming to grips with that question, they found themselves confronting the price of human life. One of the challenges Parker notes is that most students have no real point of reference: what does it mean for 67,000 Canadian soldiers to die, and another 250,000 to be wounded in a total war that cost millions of lives? Canadians in battles like Ypres, Somme, Vimy and Passchendaele fought valiantly in muddy trenches, faced unimaginable hardship, and experienced heavy death tolls. “In order to understand who some of these people were, we first needed to have names to get information from various websites,” Parker explained. “I found a spreadsheet naming the dead from the battle of Vimy Ridge. We then took those names and researched information on the National Archives websites. “There, you can find the attestation papers that provide information about volunteers who completed the forms when they enlisted,” Parker explained. These were clerks, farmers, tailors, fishermen, steam engineers, and insurance agents. 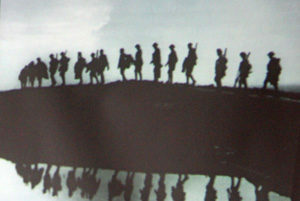 The National Archives contain papers for most of the 640,000 soldiers, chaplains and nursing sisters who served with the Canadian Expeditionary Force – along with official war diaries that recount a regiment’s daily activities in the field, including information about deaths, patrols and other incidents. Parker said the recent emphasis in the BC curriculum on the inquiry process invites students to address open-ended questions and form their own opinions as they do their research. In addressing the question: How did the war affect Canada, students also asked: was Canada’s role in the First World War worth it? In their collaborative presentations incorporating slideshows and images, many students found the total war effort for the young country of Canada meant that women entered the workforce; that income tax was introduced, laying a foundation for the country’s evolving social services; and that Canada became a recognized independent voice in the League of Nations. 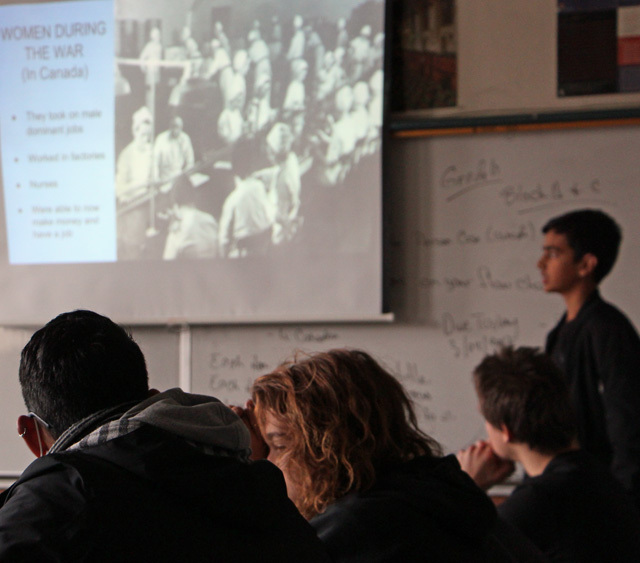 Some students also noted the role of propaganda, the differing experiences for immigrants and Aboriginal peoples, and the social costs of war.